This year, after the shocking developments at the end of Season 5--including Jon Snow's bloody fate at the hands of Castle Black mutineers, Daenerys' near-demise at the fighting pits of Meereen, and Cersei's public humiliation in the streets of King's Landing--survivors from all parts of Westeros and Essos regroup to press forward, inexorably, towards their uncertain individual fates. Familiar faces will forge new alliances to bolster their strategic chances at survival, while new characters will emerge to challenge the balance of power in the east, west, north and south. The Targaryen family hails from the city of Valyria on the eastern continent of Essos. 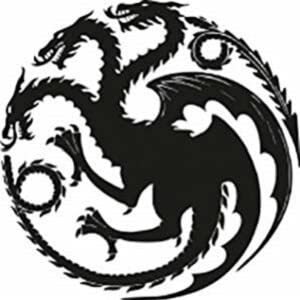 House Targaryen is one of the Great Houses of Westeros, ruling the Seven Kingdoms for three centuries before being overthrown by House Baratheon killing most of the family in the process. Their house words are 'Fire and Blood', a fitting motto for a family with fire-breathing dragons. House Stark of Winterfell is one of the Great Houses of Westeros, ruling over the vast region, The North. Winterfell, an ancient castle known for its strength, is under their rule. Their family line is one of the oldest of Westerosi nobility, stretching back over 8,000 years. As they are the most influential and notable power in the North, they’ve earned the devotion and respect from the Houses surrounding them. 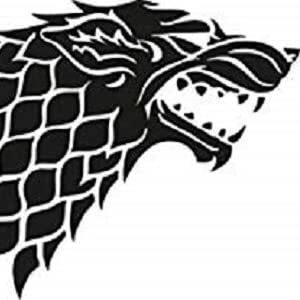 Unlike other House mottos that usually boast or threaten, the Stark’s has one that will always be relevant: ‘winter is coming’. 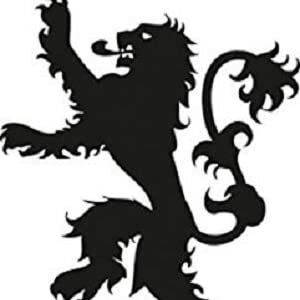 House Lannister of Casterly Rock is one of the most powerful families and oldest dynasties. As their seat is Casterly Rock, they have access to the most productive gold mine in the Westerlands, making them the wealthiest family in the realm. Their official family motto is 'Hear me Roar!' but what they’re well-known for saying is: 'A Lannister always pays his debts' and usually mean it in a more literal sense. This is a "European release" of the DVDs. Although it claims to work in all regions, it did not work on my players. And yes, the firmware is up to date. Since it is no the US release, there are no digital codes. 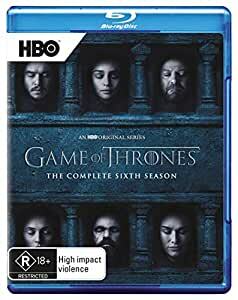 5.0 out of 5 starsSteelbook For The Sixth Season Of GAME OF THRONES! I bought this mainly for the collectible steelbook and magnet. The digital code gives you two digital versions (which is rare and appreciated). This steelbook has artwork designed by Elastic, the agency that created the Emmy Award-winning opening credits, and has a magnet on the cover that can be removed and used as a regular magnet, or left on to show off as a collector's piece. Each season represents one of the major houses of the series, but this season six steelbook represents the City of Braavos with a Braavos coin on the magnet. The steelbook is in a matching decorative plastic outer case that holds the magnet in place so it doesn't scratch the steelbook. The outer plastic case is thicker than the previous four seasons (which was easy to crack). The show is great—in acting, in storytelling, in visuals, in music, and in writing. I've watched everything at least three times, and there are so many new things you see when re-watching, and with the knowledge of future episodes. The sixth season continues immediately after the events of last season's finale. There are so many great episodes this season, I will highlight the ones that stood out for me and keep it spoiler-free. Firstly, we find the origin of someone's name. WHO KNEW that finding out something so simple would be the saddest thing you'll ever watch in Game of Thrones. Next, we have a character who meets some old friends and you're wondering why we are watching a repeat of plot points, only to be astounded when these repeated events result in a very powerful and impactful moment. And lastly, that final episode. From the moment it started playing, you could tell something was... off. If you paid attention to certain details during the season, it shouldn't be much of a surprise, but even those who thought they knew what was about to happen probably didn't think it would actually happen. I have converted many friends who previously used to think this was about "dungeons and dragons and lord of the rings," (like I did) who are now *all* addicted to the show. If you don't already know, this show isn't about what you think it may be about. This is currently THE only good show on television, and if you don't like it, you probably don't understand good television (sorry, not sorry). It has been the number one torrented show in every single year since it came out for a reason (which is a blessing and curse for the producers). After watching this, everything else on TV becomes: "why I am watching all these other crappy shows?" This is one of those series that I will buy the individual season sets, and whatever big box set comes out in the future. GAME OF THRONES! Recommended. Purchased from STMedia Group, received a UK version, which was not made clear at all on the product listing. Very disappointed, as it does not include a digital copy either. Very misleading. The bonus disk was disappointing. It only had one 30 minute feature on it.